Six ponies packed off to Belton for a mixture of classes. The end of Day 1 saw Galileo in mid-order after CCI-S3* dressage. He flew round XC for a double clear and finished in 9th place, while in the Intermediate Droughtville Mike also jumped double clear in the Intermediate for 8th. Second day of dressage saw Chap, Mr HiHo and Shannondale Quest drop down the order a little in a very big CCI-S4* class and all to play for across the weekend. They started with 134 entries, of which 88 finished with only four inside the time over a tough XC course. Mr HiHo showed all his experience to show jump clear and collect only 3.2 time XC to finish in 12th; Shannondale Quest clocked up one pole and 8 time to finish in 30th place, and Chap fell foul of the sharp turn to a corner at 5b (one of the bogey fences which caught a lot of people out) and added 20 penalties to a couple of poles SJ so was out of the running. 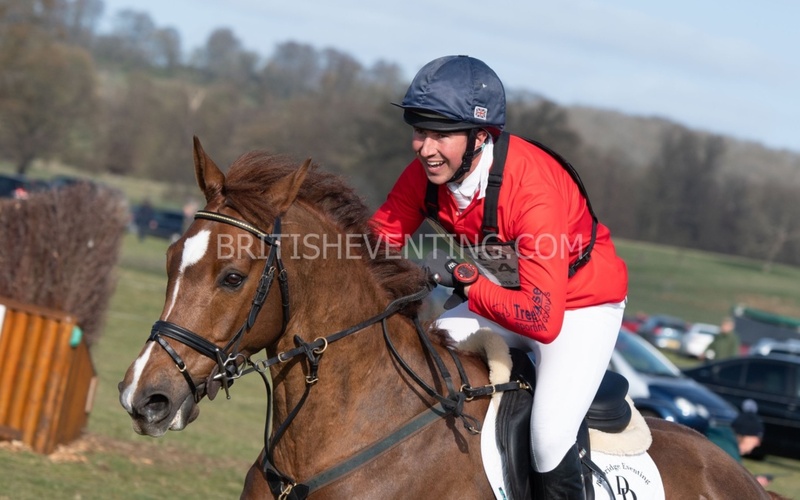 And finally, saving the best til last – Carneyhaugh Rua (pictured) was half way through the Advanced field after an average dressage test but kicked his little heels up for a double clear to finish in 5th place. Beautiful weather, perfect ground and really well organised with so many multiple riders – a jolly good day at the office! Thank you BEDE Events and all your team.